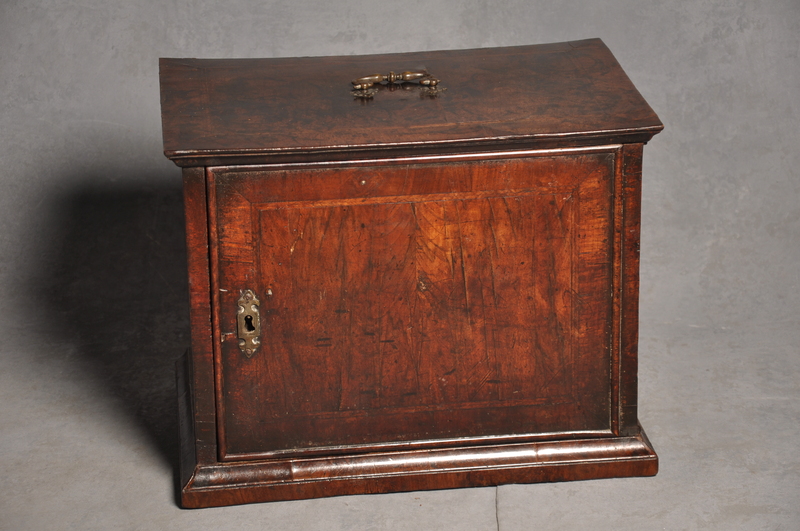 A rare William and Mary period small cabinet of outstanding colour and patina. The cabinet is veneered with walnut onto a pine ground and has a feather banding and cross band. The mouldings are made from cross grained walnut applied to a pine ground. 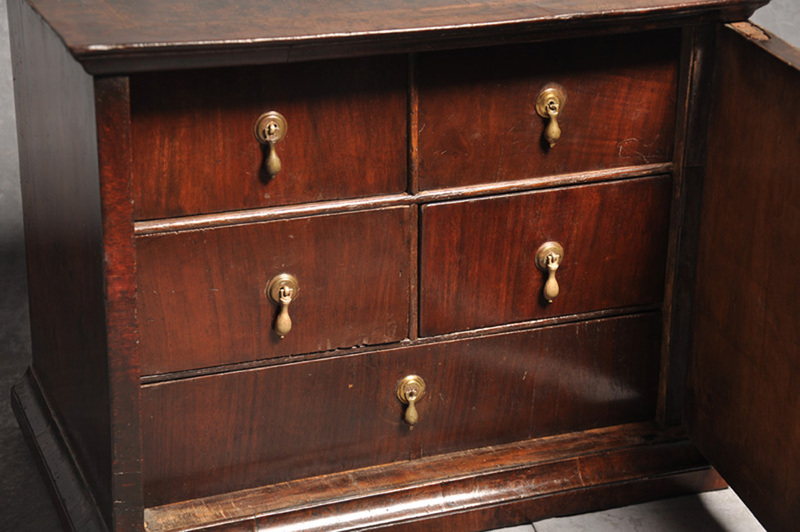 The door opens to reveal five veneered walnut drawers, three with original drop handles. 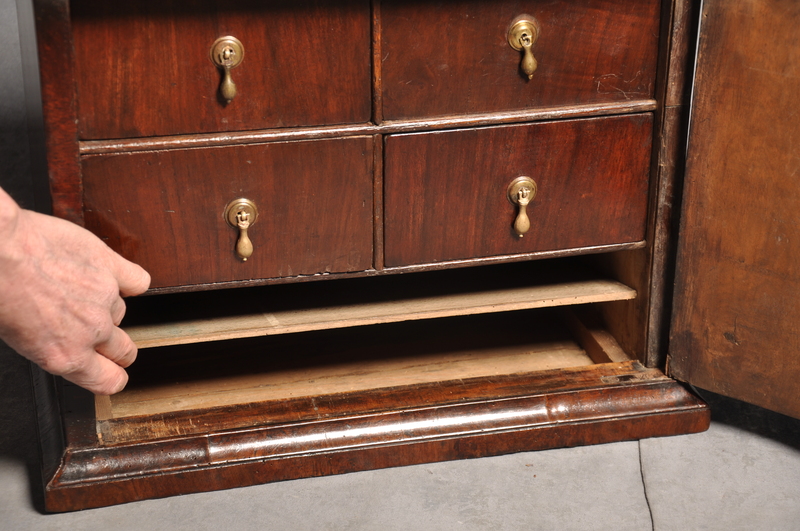 Under the bottom drawer is a secret compartment with a wire hinged lid, which suggests the cabinet was made to hold valuables. 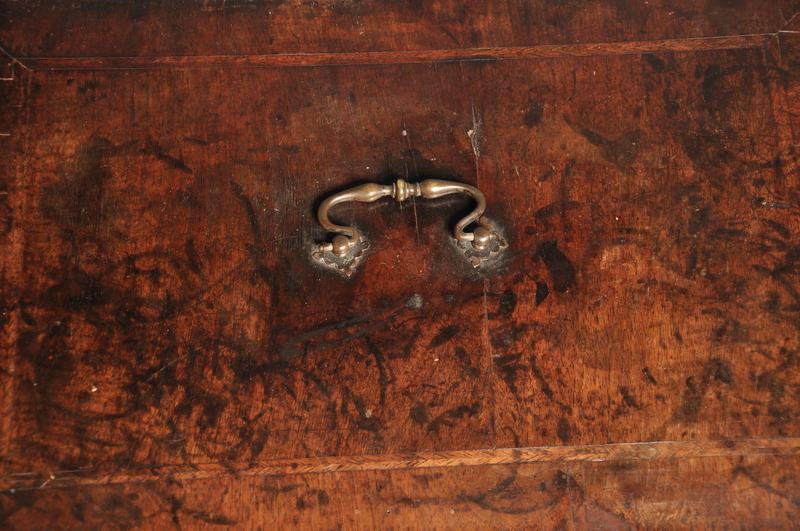 The carrying handle to the top is original as is the escutcheon , and hinges to the door. It was probably made to stand on a table or maybe the 3ft veneered chests of the period. There are no signs of it having had any bun feet, but there are signs that it has been fixed to a wall at some time.